Can you believe it is already December? Today, I am linking up with Farley from Oh' Boy 4th Grade for her monthly Currently! This year Cody and I packed two shoe boxes for the Samaritan's Purse Operation Christmas Child project. It was a great feeling to give back to others in need this Christmas season. We chose to pack a shoe box for both a boy and girl age 2-4 years old. We included clothes, shoes, a toothbrush, toothpaste, a coloring book, crayons, a ball, a sippy cup, and a small stuffed animal. We felt that it was important to include items they may actually need rather than filling the box full of toys that will eventually break. If you would like to learn more about Operation Christmas Child or how to donate to this great project you can learn more here. I'm off to write my last lesson plan of the semester. I will see you tomorrow for Oh, How Pinteresting! I have always wanted to do the shoeboxes. What a great random act of kindness. I'm glad to find your blog and would love it if you would come check me out. Love your blog! I used to participate in OCC every year. I'd do it with my students and my own kids. We haven't done it in a while, I need to remember that next year - I always loved doing it. One year our class got a letter from the child who received ours - he lived in Russia. I have the children's book about OCC and I always read it to my students and I share with them the letter that I got once "long ago". Thank you! That is a great idea to participate with your students! Do you happen to know the title of the children's book about OCC? I would love to have it to read to my future students. :) Thanks for stopping by! 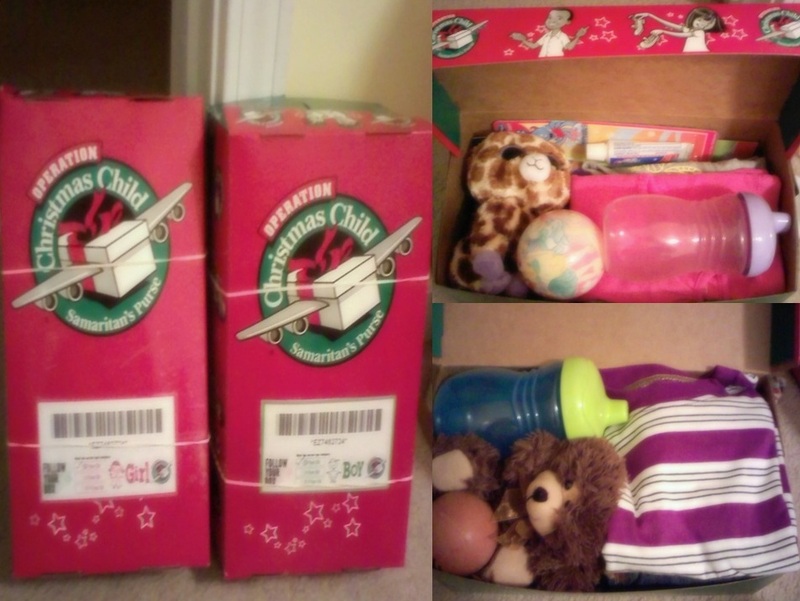 Operation Christmas child is such a wonderful cause! My husband and I have participated in it for a few years, this year my mothers group put together a bunch of boxes also. It's such a great idea, I think now you can even track your box to see what country it ends up going to. I found you through Farley's linky. 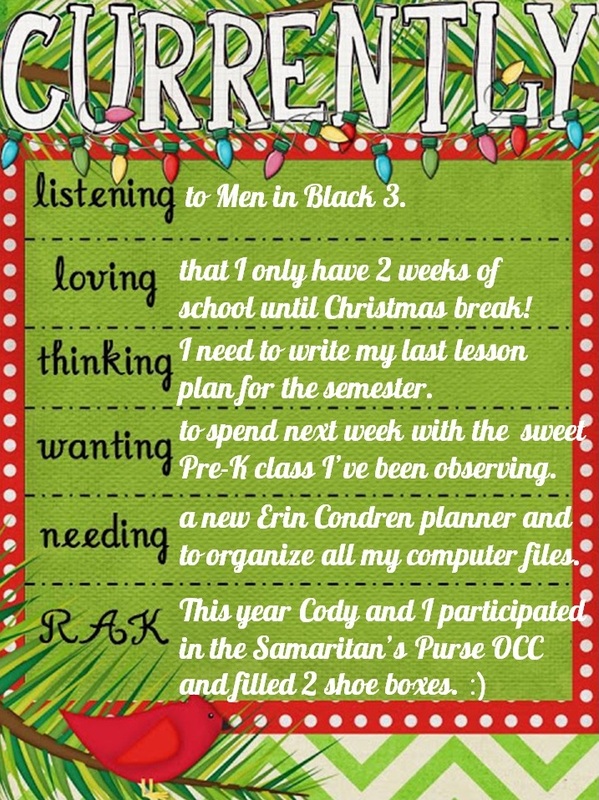 And I know you're not teaching yet.... but I LOVE your blog title and premise. SO sweet and a great reminder. Anywho, I nominated you for a blog award. You can read about it and pick it up here. Thank you! I'm glad you enjoy my blog. :) Thank you for the nomination. I will be by ASAP to check it out. Thanks for stopping by!